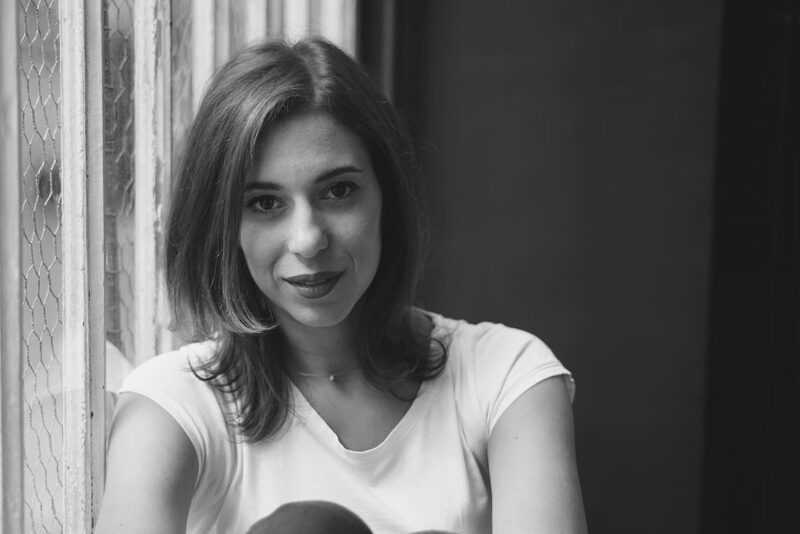 Interview of Sarah Azan, Babbler cofounder, Techstars alumni and now Techstars mentor for the Paris Techstars program! Since the beginning of September 2017, the Partech Shaker hosts 10 fantastic startups as part of the Techstars Paris Accelerator. Mentoring sessions are just one of the many benefits for the accelaterated startups chosen for the Techstars program. Sarah Azan, from Babbler, is herself a Techstars alumni from the Austin, Texas program. She gives back to the program by sharing her experience as a mentor for new startups being initiated today. We interviewed her to get her insights as a founder. => Where are you from and what did you study? I’m French, originally from Burgundy. I moved to Lyon to complete a Bachelors Degree in Communication. Then, I settled in Paris when I was 22 years old to pursue my graduate studies. In 2005, I joined EFAP leading communication school with a speciality in PR. => What do you enjoy most about working in Paris? Paris is a unique town combining a cozy size with a vibrant energy. The Tech scene in Paris has been increasingly booming in the last years. It’s amazing to see how the growth of innovation here has changed people’s working mindset. Collaboration is getting much more open and flexible, which makes it easier for us to succeed at our goals. Also, Paris offers generous and accessible funding opportunities to entrepreneurs. For instance, BPI has provided us with hundreds of thousands of euros, which helped to boost our project. Paris is a perfect place to start a business, get the right support and quickly meet key people to help grow the startup. After a few years, it's good to start expanding abroad. Being driven, passionate and a deep freedom lover, I’ve always been inspired to be my own boss. I’ve nearly always worked for myself throughout the majority of my career. Very early, I wanted to create something of value originating from my own vision and experience. When I was 25 years old, I got to collaborate with a PR expert who was about to retire. This brought me the opportunity to take up a part of her customers. This is how I became self-employed, and later I launched my own PR agency (SoCom) with up to 3 employees and 10 clients. During that period, my sister Hannah once came to visit my office and helped me reach hundreds of reporters. Through that mission, she immediately identified a key challenge with PR traditional approach. She moved to the US and has built a very effective business plan to transform PR, making them easier and more accessible. She convinced me to join and, with our mutual PR and Tech skills, we launched a digital social platform that connects brands and medias in real-time. => What were some of the early obstacles you faced? => And what has been your best decision? Our best decision has always been in recruiting the right people. Indeed, the success of a project relies on everyone’s involvement. With Babbler, each person who joined our team was able to bring a very strong contribution to our growth. They have provided complementary expertise we didn’t own yet, which strongly helped to boost Babbler. We’ve been very careful with each recruitment and made sure they all best fit our product, culture, mindset and values. Going into partnership with my sister turned out to be another great decision. The relationship between two sisters is a unique asset that is extremely advantageous, if not indispensable, to prosperity in entrepreneurship: trust. With Hannah, we share the same values, culture and a deep trusting connection. Every day, we have faith in our ability to rely and support each other; this is very powerful in successfully leading a business. => Could you describe your daily routine? How do you stay focused? Every day, I get up at 7:15. I start the morning by checking my emails, the news and updates on social networks. Then, I take care of my kids and bring them to school. Once I’m at Babbler’s office, I remain flexible for open chats with my team to keep the execution flow on. I focus mainly on Babbler’s business development with our sales team to boost clients acquisition of key players. My daily routine is a mixed scope of actions: I cover operational tasks, I control financial priorities (relationships with investors, clients invoices, etc.) and I discuss Babbler’s strategy with my partner Hannah. Thank you Sarah for the interview! Find more about the Paris Techstars program. Do not miss any news about the Partech Shaker, subscribe to our newsletter!